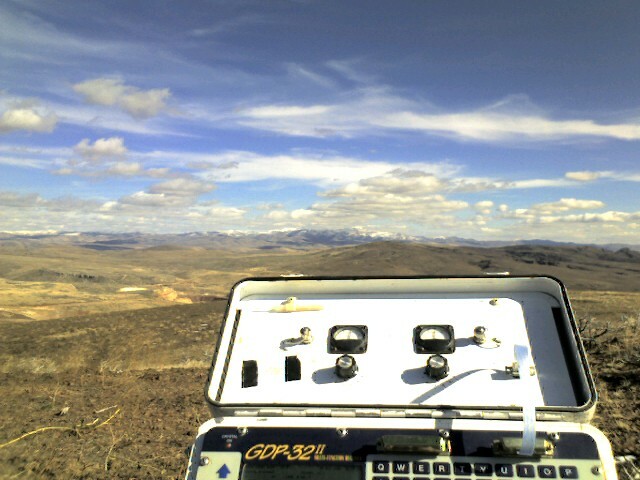 Geophysical techniques are routinely used in exploration programs to help delineate and map areas favorable for the target being pursued, determine or rule out drill locations, and maximize extraction over the lifetime of a mining or development project. Geophysical techniques look far beneath alluvial cover. They can be used to directly detect some minerals, indirectly detect others, and to map structural geologic features indicative of the desired targets. Using multiple, different geophysical methods at different stages of a project and integrating the geophysics results with geologic, geo-chemical, and borehole data is typically necessary to obtain the best information for making the high-stakes business decisions inherent in natural resource exploration and development. Airborne surveys are often used to initially scope out large geographic areas for economic minerals, followed by surveys conducted on the ground to narrow in on target locations and depths. Direct detection methods include the use of induced polarization (IP) to find disseminated sulfides, magnetics to delineate magnetite-hosting rocks, and gravity and electrical techniques for finding massive sulfides. Examples of indirect detection methods include using IP techniques to detect pyrite in association with sphalerite and gold (both non-responders to IP geophysical techniques), and copper and molybdenum in porphyry systems. Magnetics are routinely used to search for hydrothermal alteration in association with porphyry systems, and can be used to map buried stream channels (magnetite sands) that might host placer gold. Gravity and seismic methods are often used to map faults and thickness of alluvial fill for mapping geology. Magnetics and seismic methods can be used to map structure and possibly the signatures associated with different rock types. Electrical methods may also be used to map alteration and geology, depth to bedrock, structure, and different rock units. Geothermal power generation requires high-fluid flow and high temperatures at an attainable depth. How do we obtain the information necessary for quantitative resource assessment? Quantity questions: How much gravel is here? Are there significant quantity variations between drill holes? How deep is it to the bedrock cutoff? How much might this property be worth? Quality questions: How much clay is present in the gravel? Does the fines content vary between my sample points? What is the quality of the groundwater? How much due diligence is due? Where is the ore body? Where are the pyrites? Where is the barren zone? Where is the largest percentage of sulphides? Is this ore body economic? Where is the ore body? Where are the drilling targets and what is their priority ranking? What is the size and shape of the ore body? Where did the ore body go when it disappeared? Where is the uranium deposited? Where are the caves with radiometric minerals? Where are the faults which control ore deposition? Where to drill for uranium, gold or copper: What kind of rocks (sandstones or siltstones; granite or pegmatite; limestone or coal) are underground at relative depths? How do the rock types change laterally? Where to drill for natural gas and petroleum: What is the geologic structure? Which way do the strata dip? Where are the contacts between formations? Where are the faults, folds?